This particular unit (14-DA0011DX) is packing some solid specs under the hood. Not only does it have a 360° 14" FHD touchscreen, but it also sports an Intel i3-8130U dual-core CPU, 8GB of DDR4 RAM, 64GB of eMMC storage, and a backlit keyboard. It comes with Chrome OS, so you don't have to worry about cumbersome updates or security. Whether you need a solid laptop for school or something that can flip around to tablet mode for the living room, this deal is a good one. 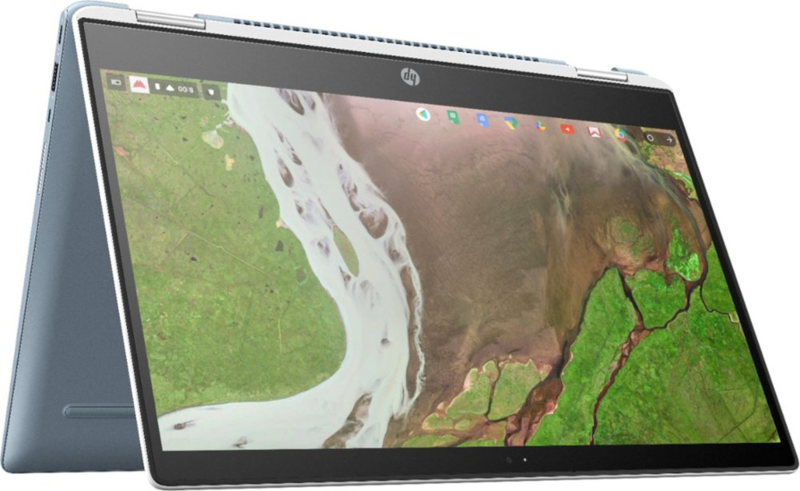 We never got a chance to review this Chromebook, but just taking a quick look at some critic and user reviews will tell you that this is a good one to have. If you're interested, you can get started at the buy link below. At time of writing, you have about 14 hours left to get yours, assuming supplies last that long.